I came across this plant in a planter one day while out fishing. It was planted in a planter in a suburb of Illinois and I have no idea what it is but it sure is pretty. 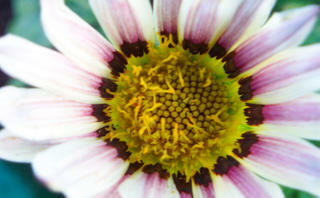 This one has been IDed as a Gazania on gardenweb.